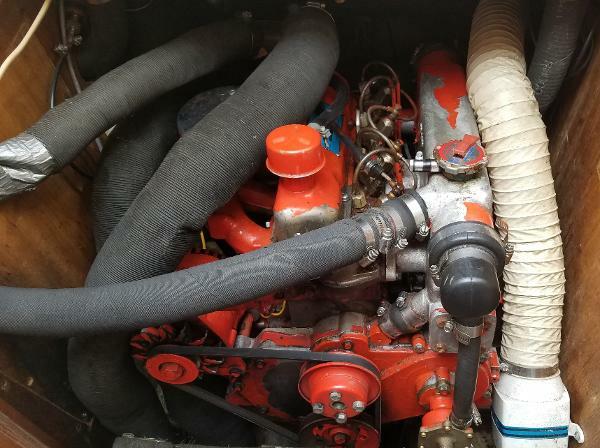 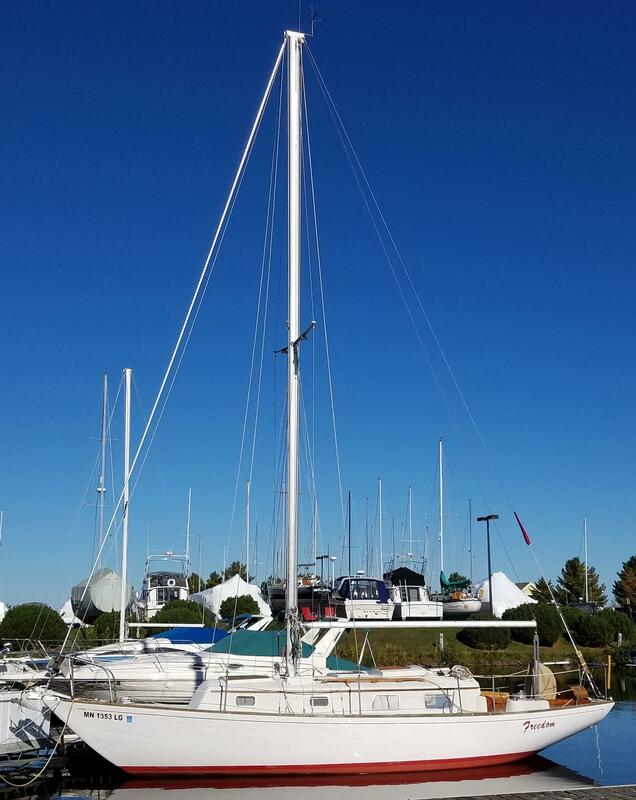 This boat is a proven Great Lakes cruiser with a rich history. 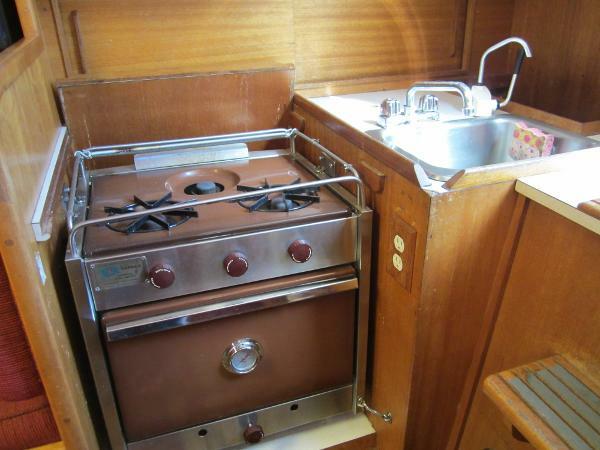 This vessel has been in freshwater all her life. 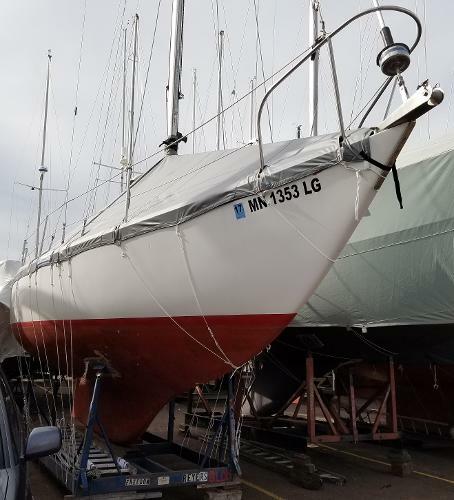 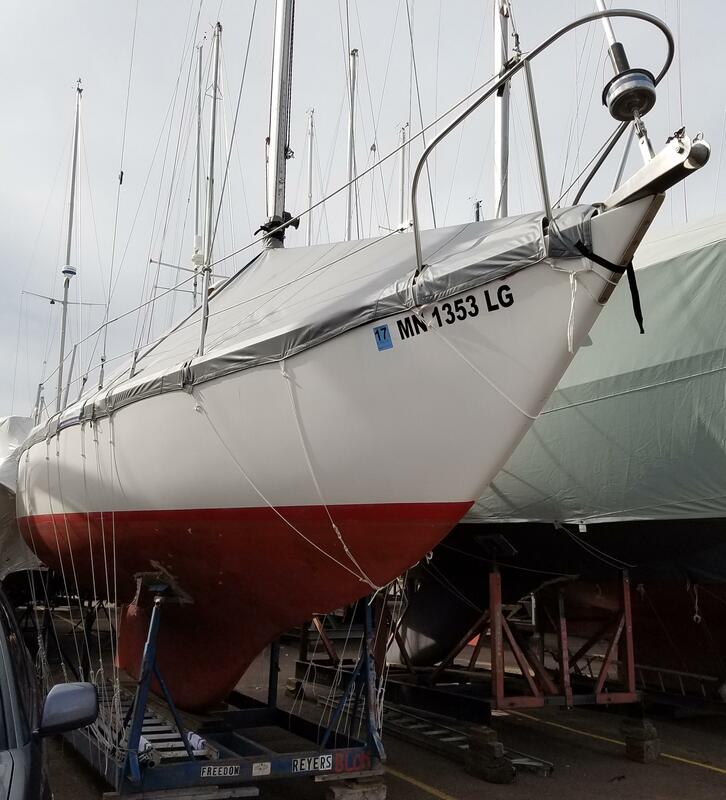 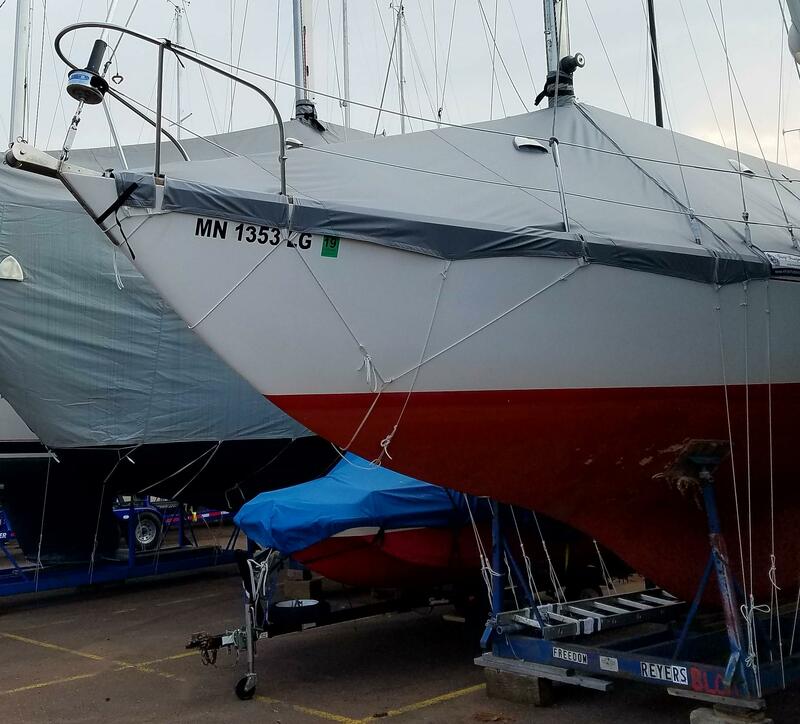 She sails like a dream in light wind and has a comfortable, gentle motion, thanks to her modified full keel and narrow beam. 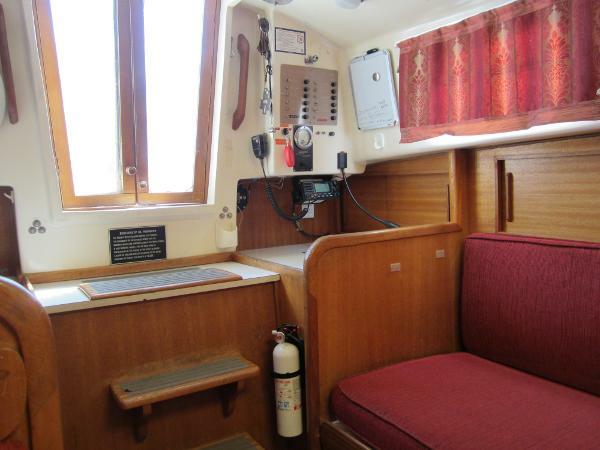 These features also make her a capable cruiser in heavy weather. "Freedom" is a classic cruiser with beautiful lines. 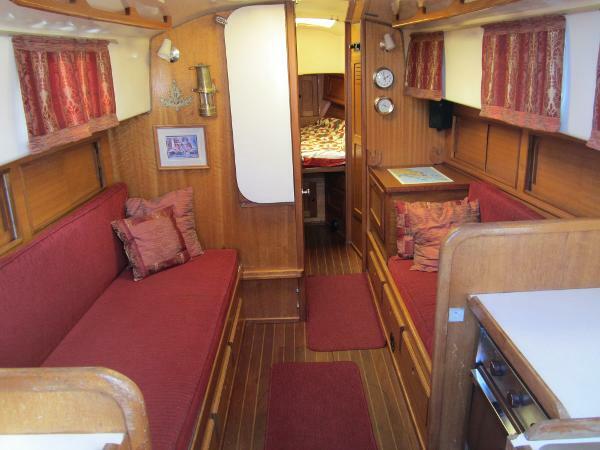 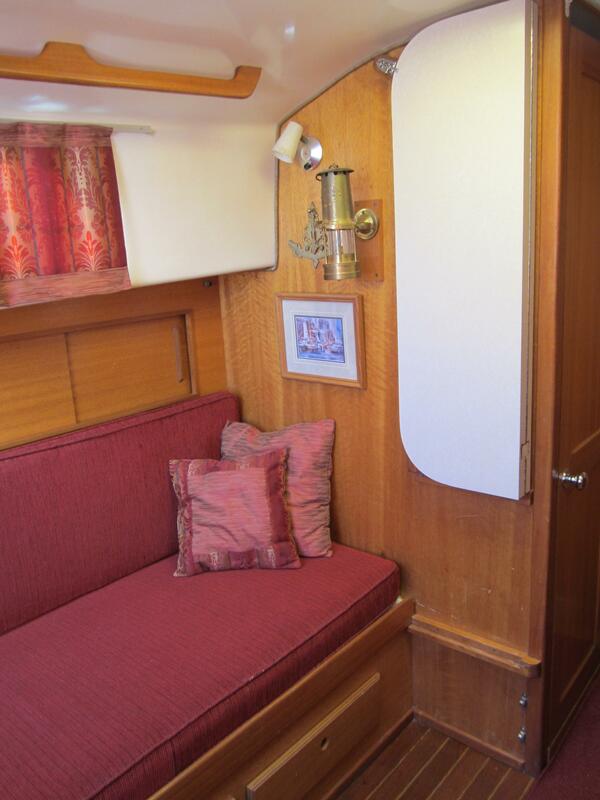 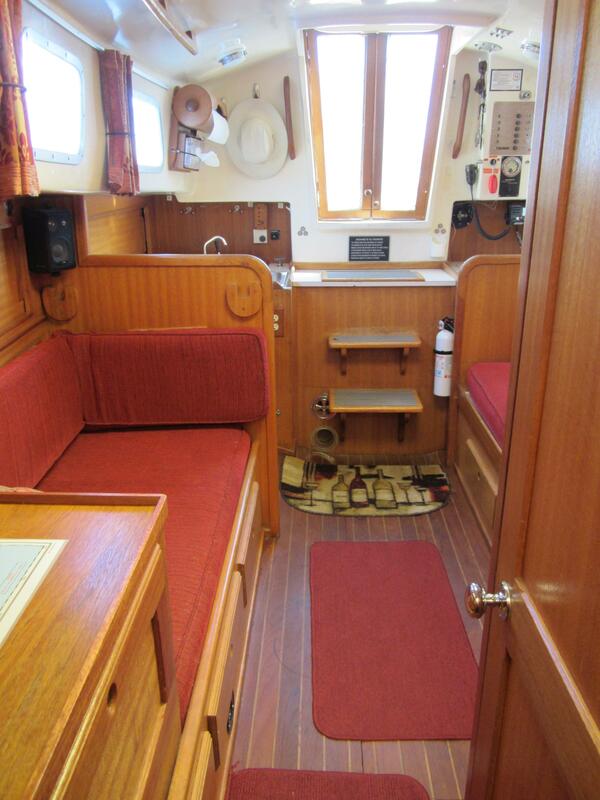 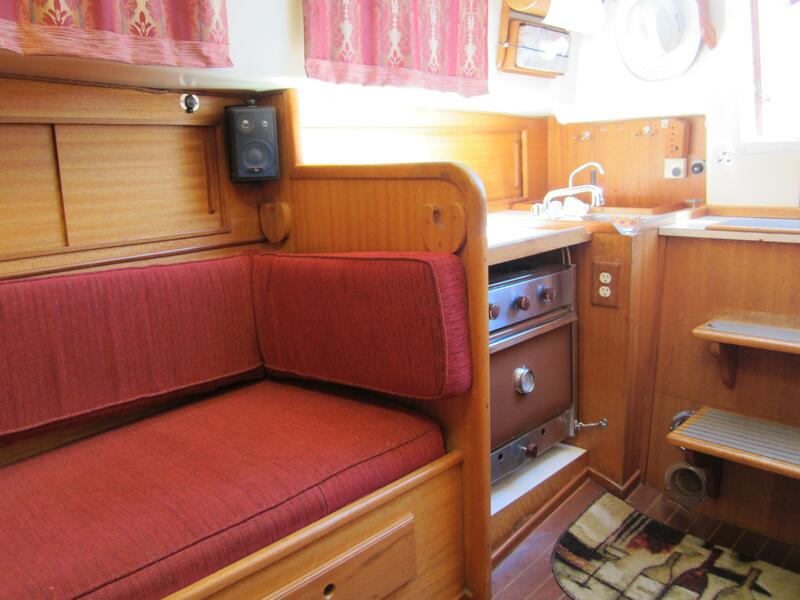 Her interior is gorgeous, with mahogany woodwork, updated upholstery, new curtains, brass accessories, and teak and holly sole. There is ample storage and plenty of ventilation. 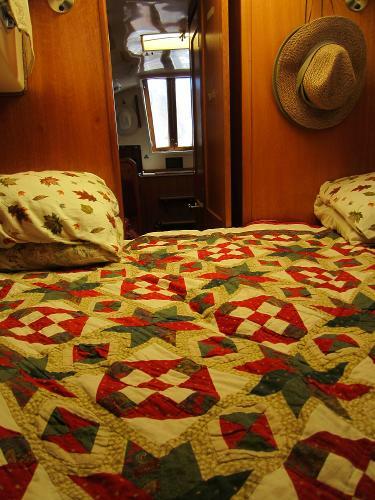 The cabin is toasty warm on cool mornings thanks to an Esbar forced air heater. Above decks, she is equally elegant, with teak cockpit grate, beautifully handcrafted wood helm seat and wood instrument case. 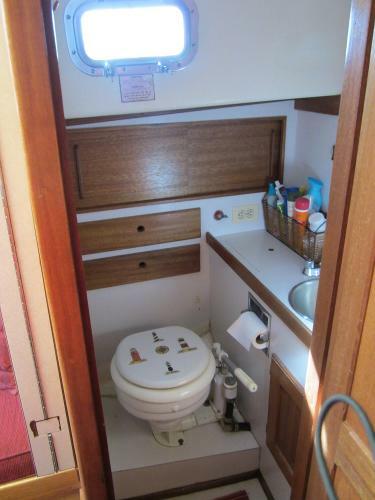 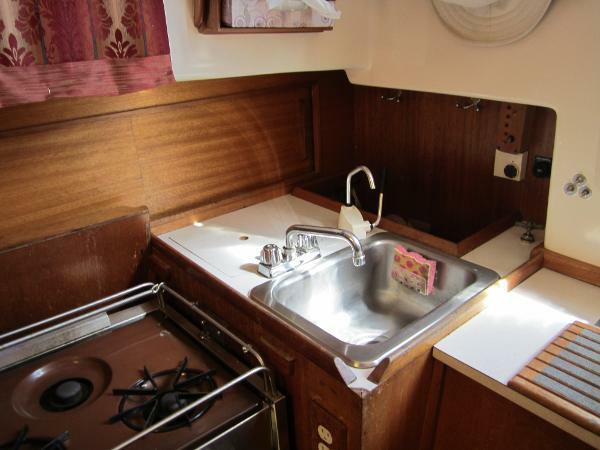 Other great features include an electric windlass. 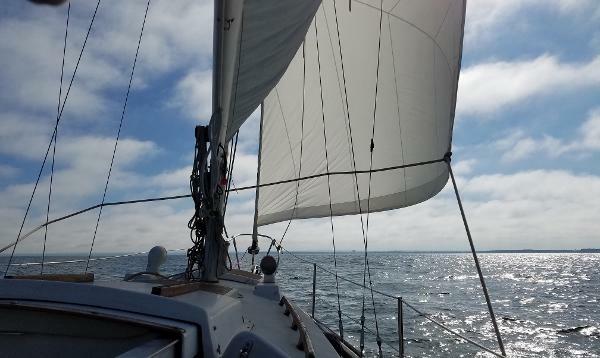 The rolling boom allows for easy mainsail reefing. She is easy to sail with a crew of 2 or single handed. 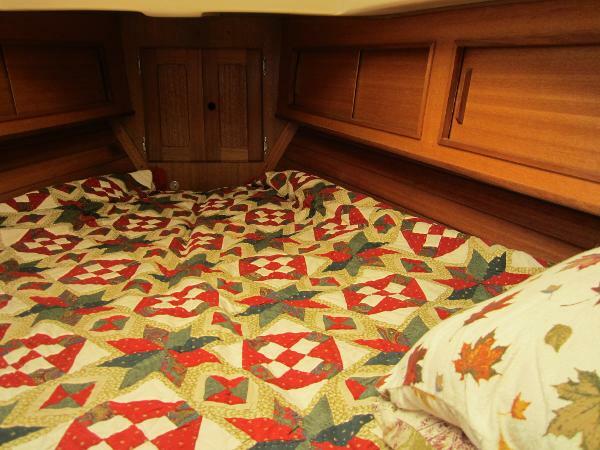 This boat is a proven Great Lakes cruiser with a rich history. 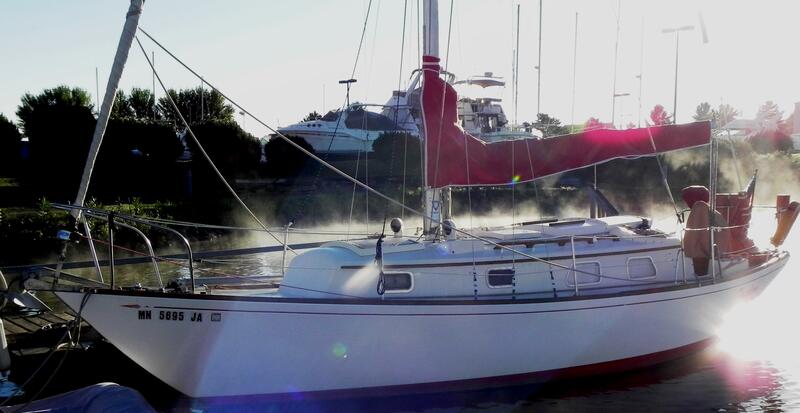 She has been in fresh water all her life. She sails like a dream in lights wind and has a comfortable, gentle motion, thanks to her modified full keel and narrow beam. 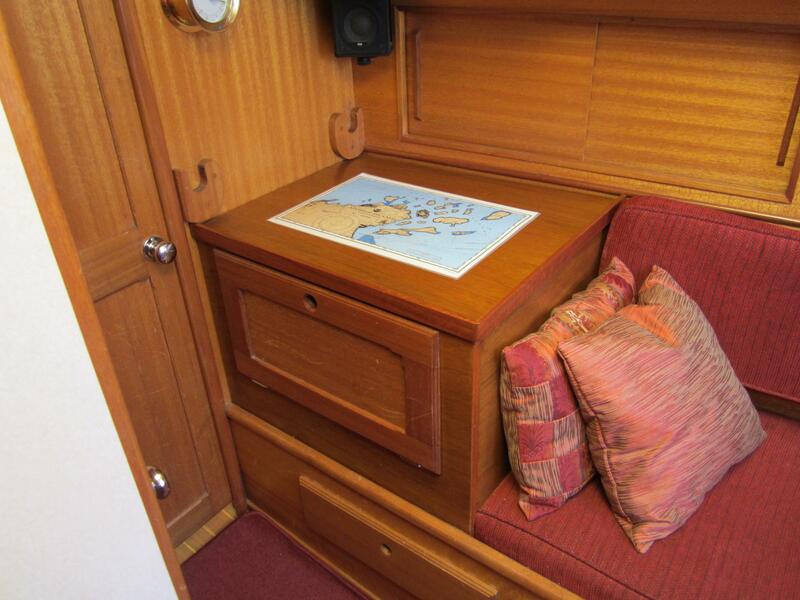 These features also make her a capable cruiser in heavy weather. 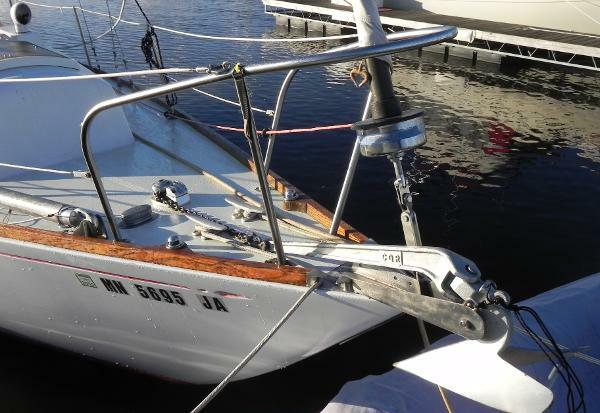 Her sister ship, a Bristol 32 built the same year, completed an Atlantic crossing. 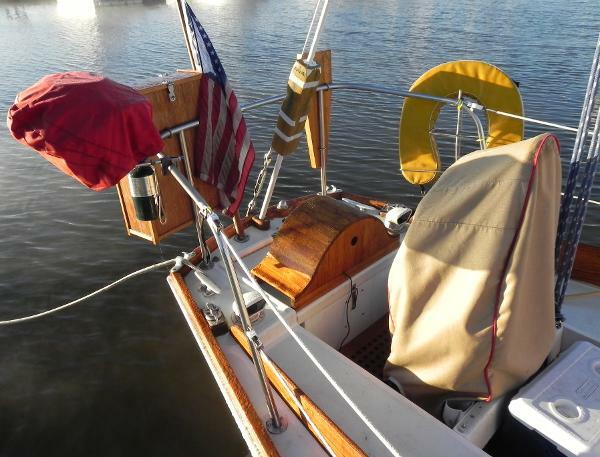 "Freedom" is a classic cruiser with beautiful lines. Her interior is gorgeous, with mahogany paneling, updated upholstery, new curtains, brass accessories, and teak and holly sole. There is ample storage throughout, and plenty of ventilation. The cabin is toasty warm on cool mornings thanks to an Espar forced air heater. 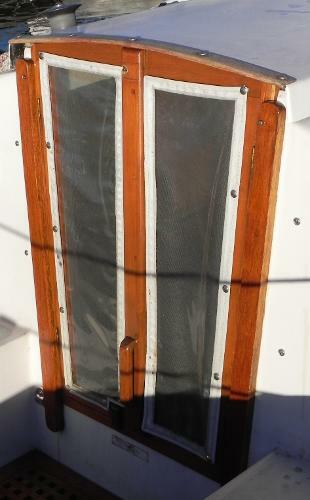 Above decks, she is equally elegant, with teak cockpit grate, beautifully handcrafted wood helm seat and wood instrument case. 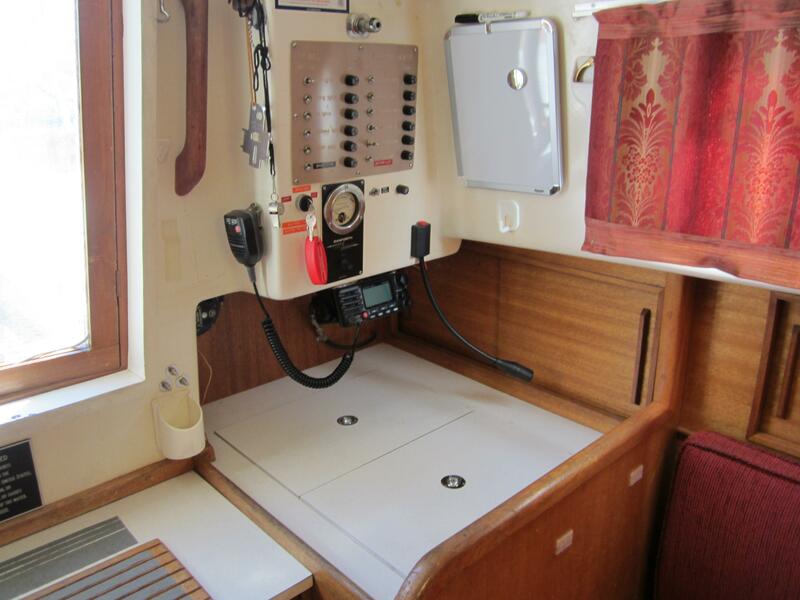 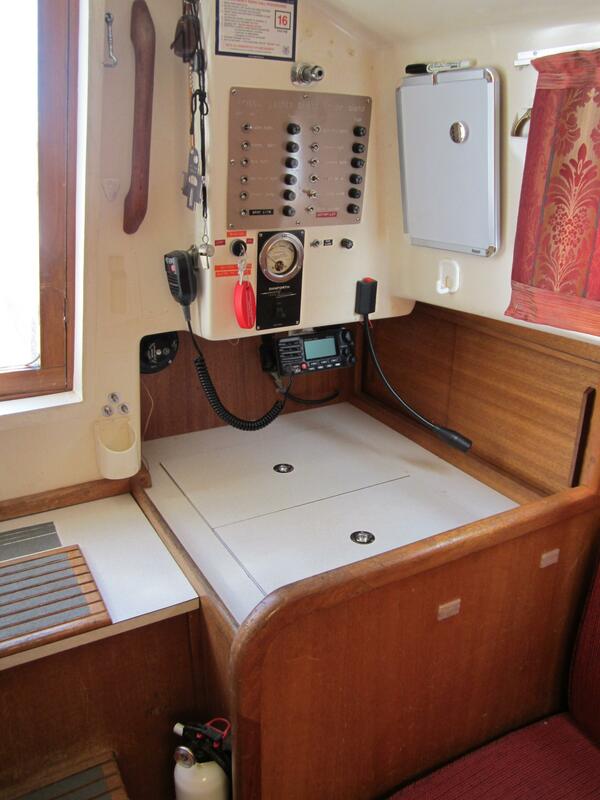 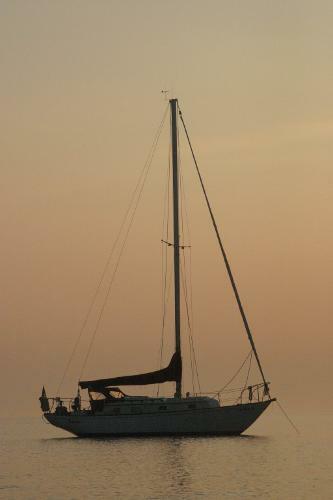 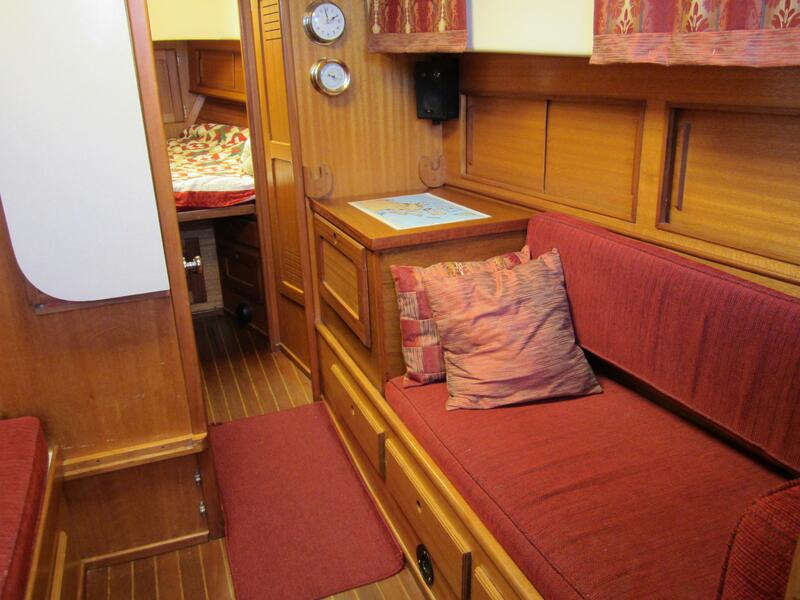 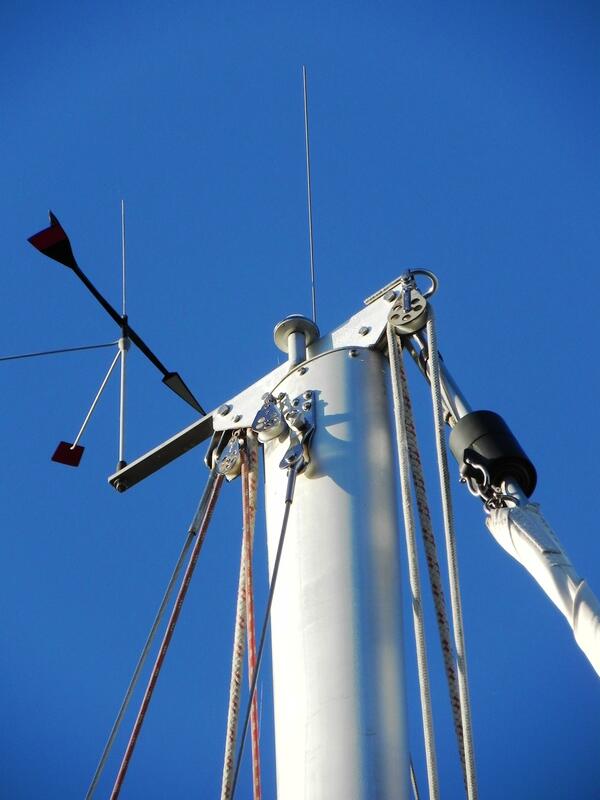 Other great features include an electric windlass and rolling boom for easy mainsail reefing. 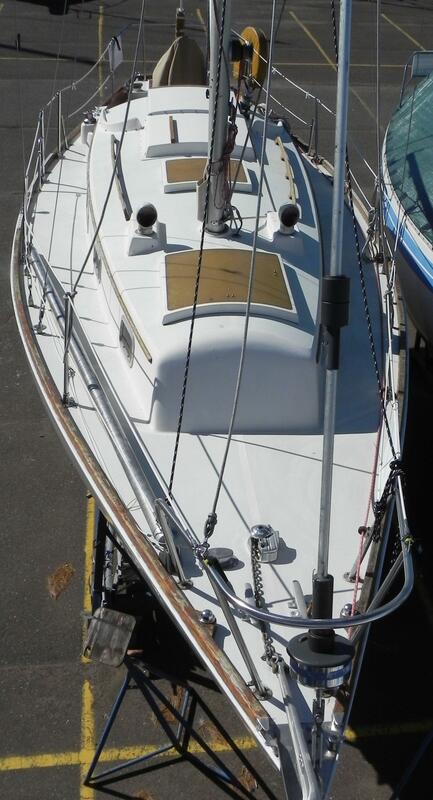 She is easy to sail with a crew of 2 or single handed.